WILLEMSTAD - Paying 3000 guilders per month in royalties is not the right way. That's what Bodino de Jong from Skempi says. 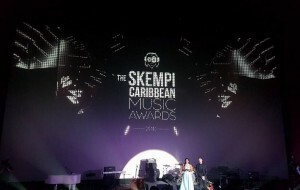 The music platform, focused on the Caribbean, has been thinking for a while about a plan to allow musicians to receive royalties, but was still looking for a way on how to give shape to this. The company Ducapro and lawyer David Kock have entered into a partnership with the Canadian company Socan to pay royalties to Curaçao artists. Until now there was no company that arranged this. Last week, radio stations received a letter requesting the offer of 3000 guilders per month for the use of music. If this does not happen and local music is still played, a fine can follow. The government has not yet responded to the plan.